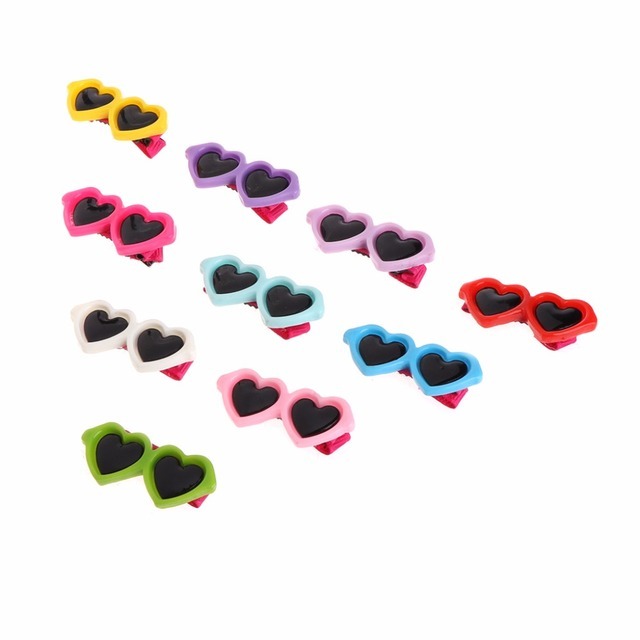 Best & Cheap Hair Clips Heart Glasses Grooming Supplies for Dogs & Cats Hair Accessories | Welcome To Infomajestic online store. 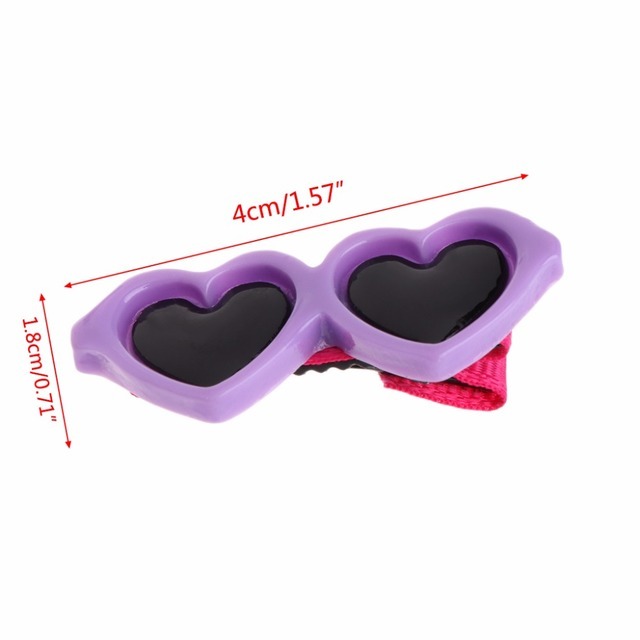 Hey,every pets lovers,when summer is coming,pets always feel hot with thick fur.Therefore,you need a hair clip to let your pets feel more comfortable and dress them up with cute glasses clip!This hair clip will make your pets fashion and unique when walking on the street! It is so cute with heart glasses! 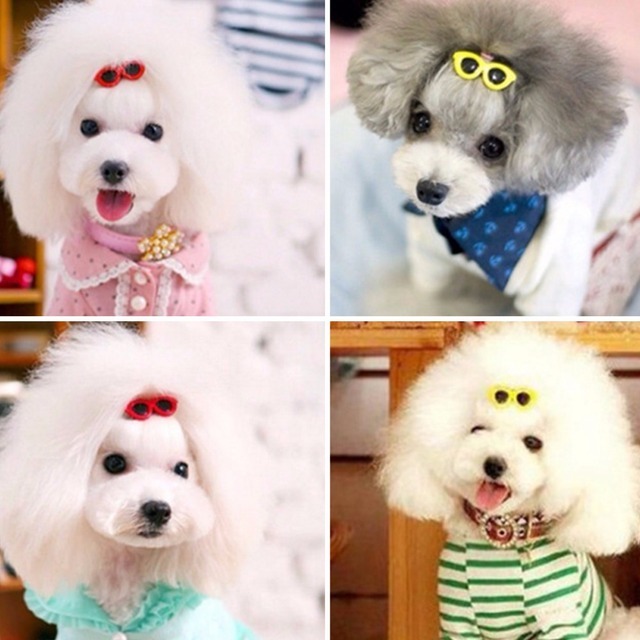 Stable hair clip will add to your pets look. 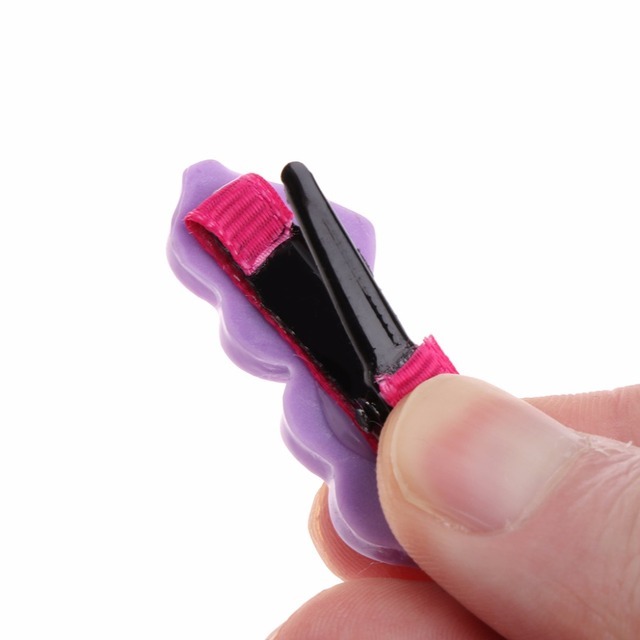 Can be used for grooming your pets hair and decoration. Various color gives you various choice. 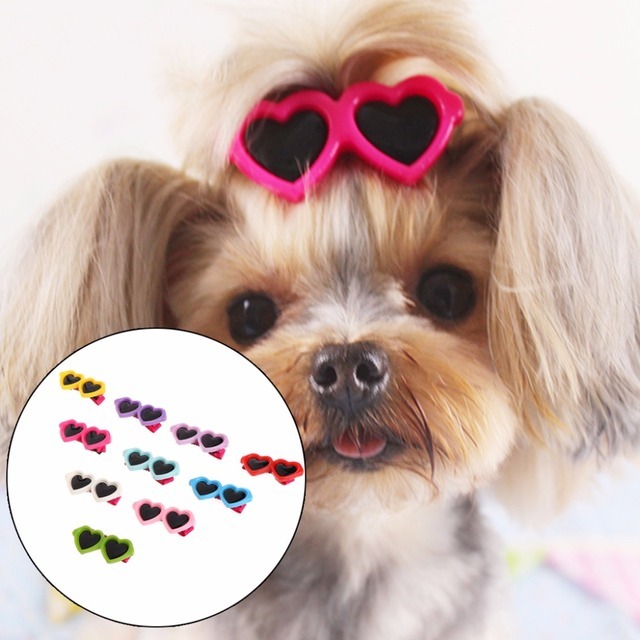 10 pcs of pet hair clips only,other accessories demo in the picture are not included!